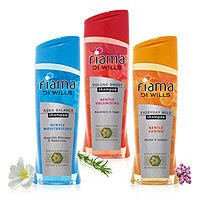 I have tried Fiama Di Wills shower gel and loved it. ITC’s products have always been rated well by consumers. But have you tried their shampoos? I haven’t, but my friend who has used the variant ‘Everyday Mild’ says that neither is it a ‘bad shampoo’ per se nor is it out of the world. She washes her hair daily and therefore wished to use something mild on her hair. Her hair is not exactly straight and tangles easily after a wash. This Fiama Di Wills—Everyday Mild shampoo with the extracts of Thyme and Juniper and claims of imparting soft, tangle-free hair seemed just the thing to her. Plus, she liked the packaging; in fact, the bottle was transparent enough to see the color. After using it for over a week she quite liked the aroma of the shampoo and it did leave her hair tangle-free after a wash. However she found that when she had thoroughly oiled her hair the previous day before shampooing, it did not exactly cleanse her hair that well, she had to reapply it a number of times to get off all that greasiness from her scalp. Apart from for this hitch, she feels it’s a good shampoo for regular use. Previously Fiama Di Wills shampoo used to come only in three variants, each variant designed to deliver a specific benefit to the consumer: Everyday Mild - Gentle caring shampoo with thyme and juniper extracts, Aqua Balance - Gentle moisturising shampoo with magnolia blossoms and watercress extracts and Volume Boost - Gentle volumising shampoo with rosemary and sage extracts. But recently ITC has come up with a brand new variant, Shine In Style. It contains extracts of chamomile and green tea and the lustra conditioning system. All these shampoos are available in two sizes- 200 ml and 100ml and are priced at Rs. 99 and Rs. 54 respectively. What a lovely and sensual description! I would buy one. That was a wonderful review. Thank you. Even I have used the Fiama Di Wills ‘Everyday Mild’ Shampoo... It actually made my hair tangle free & smooth. I am using fiama di wills and it not so good in the end. I agree it leaves the hair tangle free and soft. But I lose more hair when i comb the second day after wash. Now I have much less hair than before. Fiame di wills is just deceiving. I wont be using it after this bottle is over.